Britain’s busiest jockey. He can ride at about 8st and so few horses are off limits for him. Between 2010 and 2015, he had about 8312 rides. 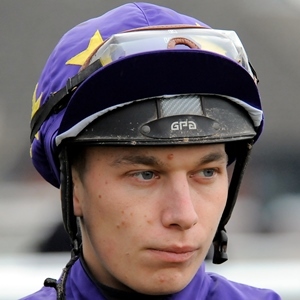 Born in Oxford, Morris is the nephew of one jockey, Jason Tate, and the grandson of another, Joe Tate. After a spell at the British Racing School in Newmarket, he started his career as apprentice to Michael Bell before linking up with Stan Moore. He is No.1 jockey for Sir Mark Prescott and has a close relationship with his agent, Neil Allan, who has booked his rides right from the very start. Morris rode his first winner in November 2005, with his first big-race victory coming two years later in the Northumberland Plate aboard Juniper Girl. He landed his initial Pattern race success in June 2010 in the Group 3 Ballyogan Stakes at Leopardstown aboard Gilt Edge Girl and four months later notched his first (and so far only) Group 1 win when the same horse carried him to victory in the Prix de l’Abbaye de Longchamp. He rarely seems to miss an all-weather meeting and, in 2015, rode 189 winners overall. That was a dozen more than Adam Kirby. In 2017, he partnered flying filly Marsha to victory in the Coolmore Nunthorpe Stakes at York – the combination prevailing by a nose from Lady Aurelia.